﻿ MotoGP: Syahrin to Tech 3 confirmed by Khairuddin move? The promotion of Malaysian rider Hafizh Syahrin to the MotoGP class for the 2018 season looks set to be confirmed any day now, after the Sepang International Circuit announced today that fellow Malaysian and former Moto3 racer Zulfahmi Khairuddin will replace him at the track’s team in the intermediate class. Originally reported by MCN last week that the Malaysian would replace German racer Jonas Folger at the Monster Yamaha Tech 3 team, our sources also reported that Khairuddin would be the likely replacement for him in the Moto2 team set up around the 23-year-old for this season. Speaking in a statement released by the circuit that makes no reference to Syahrin’s plans for the future (which are believed by MCN to be announced early next week), circuit CEO Dato Razlan Razali says that they’re nonetheless aware that they’re dropping Khairuddin into the deep end with the sudden switch from World Supersport. "On behalf of SIC, we are ecstatic to witness Zulfahmi racing with us once again under the SIC Racing Team banner in 2018. With his previous achievements in 2012, we hope Zulfahmi would relive history once again for Malaysia. Upon our deliberation, we feel that Zulfahmi would be the prime candidate to be placed in Moto2 as he has already been exposed to World Supersport Racing for the past two years. “That valuable experience has given him a foundation in racing with a higher cc machine against international riders. Yes, it will be relatively tough for Zulfahmi going into transition to Moto2. 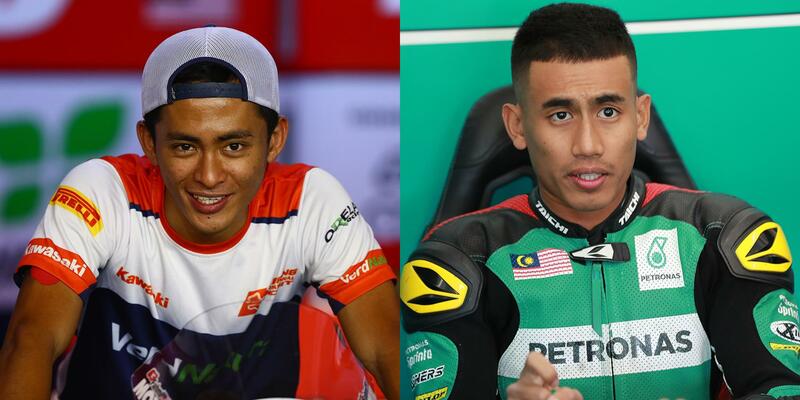 But, we have faith that with the collective experience of each crew member in his new team, Zulfahmi would be able to achieve his targets and bring glory to Malaysia along with Moto3 rider, Adam Norrodin, as Malaysians racing in the world championship." Despite being only 23, Syahrin has spent five seasons in the middleweight class since joining the Grand Prix paddock full time in 2013, taking a best finish of ninth in 2016 and scoring two podiums last year in the rain, at Misano and Motegi. The 26-year-old Khairuddin first joined the Grand Prix paddock in 2010 on a 125 machine before moving to Moto3 machinery after two seasons and enjoying another four years on them, with a best championship finish of seventh in 2012 and an incredible home podium at Sepang. Since 2016, he’s been racing in the World Supersport championship, again finishing on the podium at home in 2016.